New Chief Digital Officer (CDO) hires have doubled every year since 2005, and now number over 1,000 globally. Today more than 250 Chief Data Officers have entered business portals, up from zero in 2002, according to the CDO Club. In the last few months alone, the White House nominated its first-ever Chief Digital Officer, Jason Goldman, as well as its first-ever Chief Data Scientist, DJ Patil. These critical digital and data leadership roles are increasingly important for incumbent organizations to fill, so that they can survive the onslaught of digital disruption. Since 2000, 52% of F500 companies have gone bankrupt, been acquired, or ceased to exist (Digital Transformation Review No. 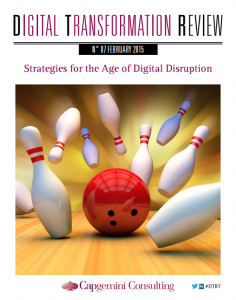 7: Strategies for the Age of Digital Disruption). 48% of successful companies relied on hiring specialist digital talent in the wake of a disruption (When Digital Disruption Strikes: How Can Incumbents Respond?). 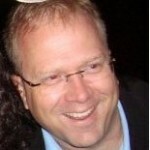 Why aspire to be a “digital master”? Quite simply, because digital masters outperform their peers. 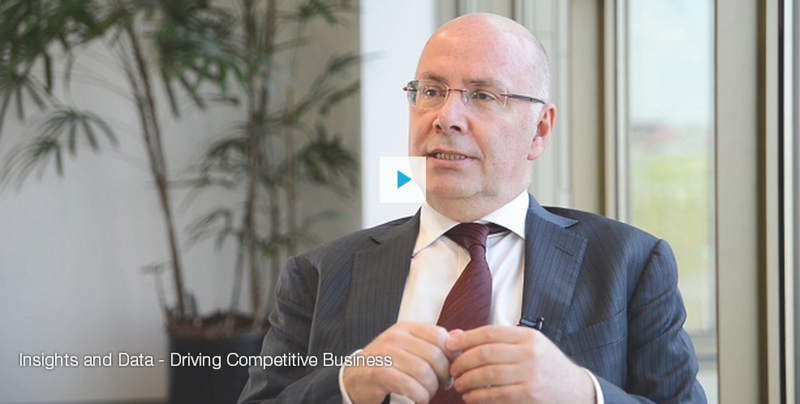 Digital masters “are 26 percent more profitable than their average industry competitors,” revealed Dr. Didier Bonnet, Senior Vice President and Global Practice Leader at Capgemini Consulting, in his new book, Leading Digital: Turning Technology Into Business Transformation. Written in conjunction with George Westerman at MIT, the book is the result of three years’ research conducted by Capgemini Consulting and the MIT Center for Digital Business. They collected data and interviewed people from hundreds of companies. So What Exactly Is a “Digital Master”? For Dr. Bonnet and Capgemini, digital masters are not the powerful Googles and Facebooks of the world. Rather, they are regular businesses that harness the power of digital to work and sell their products and services better than ever before. This digital revolution is so disruptive that he claims it’s the biggest thing to change the economy since the industrial revolution (which ended about 1840!). “The last time there was this much technological innovation hitting the business world was the first time,” Dr. Bonnet remarked. Yet “most firms fall short of digital mastery,” he admitted. That is where Capgemini Consulting comes in. Capgemini is the Presenting Sponsor of the third annual CDO Summit in New York City, which takes place on April 29, 2015, at Thomson Reuters. Capgemini will share digital and data best practices that it has acquired and implemented over the last few years while working with the MIT Center for Digital Business and also with hundreds of global companies and organizations. 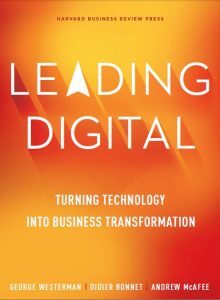 Senior Vice President and Global Practice Leader Didier Bonnet will highlight findings from a multiyear research initiative with MIT that was showcased in his book “Leading Digital” (business book distributor 800 CEO READ called it a “must-read” for digital leaders). Chief Digital Officer Fernando Alvarez will discuss how to unlock the potential of big data to tackle digital disruption. He has been honored as one of the 100 most influential U.S. Hispanic business leaders by Hispanic Business magazine, and has received Ernst & Young’s Entrepreneur of the Year Award. Vice President, North America Practice Lead, Business Information Management Jeffrey T. Hunter will moderate a panel on “Finding a Needle in the Big Data Haystack” with Christine Hung, Executive Director, Data Science & Engineering at the New York Times; Amen Mashariki, Chief Analytics Officer at NYC Mayor’s Office; Haile Owusu, PhD, Chief Data Scientist at Mashable; and John Caldwell, SVP Market Development & Business Operations at Neustar. Vice President and North America Practice Lead, Digital Customer Experience, Tony Fross will moderate a panel covering the challenges of digital transformation with Johanna Murphy, Chief Marketing Officer & Digital Director at Ivanka Trump; Jaime Punishill, Head of Cross Channel Customer Strategy at TIAA-CREF; Ralph Rivera, Director of Digital at the BBC; and Jonathan Sackett, President and CEO at MASHBURNSACKETT. 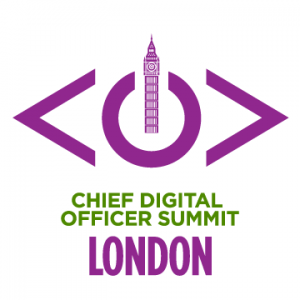 You can register as an attendee for the CDO Summit here. Capgemini Consulting has also recently published five reports on digital transformation, available to read for free below. Each includes data collected from over 100 companies. “Capgemini’s research on digital disruption, Big Data, and cybersecurity are a ‘must-read’ for every Chief Digital Officer and Chief Data Officer on earth right now—period,” noted David Mathison, Curator of the CDO Summit and founder of the CDO Club. 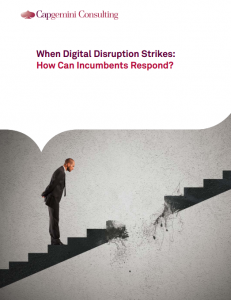 When Digital Disruption Strikes: How Can Incumbents Respond? Meanwhile, venture funding to startups is at historic highs, with investment last year being the highest it has been since 2000—around $17 billion. Slow decision cycles (such as annual strategy meetings), complacency about existing business models, and fear of cannibalizing existing business are big issues incumbents need to address. Kodak, for example, held most of the patents for digital photography technology but did not commercialize them, because it feared cannibalizing its own film business. A potent strategy for overcoming this obstacle is hiring a Chief Digital Officer to plan and implement a unified digital strategy for the organization. “48% of successful companies relied on hiring specialist digital talent in the wake of a disruption,” Capgemini reported. Capgemini brought together eight leading digital experts for its latest Digital Transformation Review. Hailing from diverse backgrounds and sectors, as well as three continents, these experts offered some of the most relevant and actionable tips available today for dealing with digital disruption and the disruptor companies themselves. Rita Gunther McGrath, professor, Columbia University Business School: How can we plan for the emergence of disruptors? Philippe Lemoine, Chairman of the Fing (Next Generation Internet Foundation): Authored report for French government on the digital transformation of the country’s economy; outlines three factors driving disruption: automation, dematerialization, and changes to the value chain. Rachel Botsman, a global thought leader: How collaborative business models are shaping a new economy. Brian Solis, Digital Analyst, Anthropologist, and Futurist at Altimeter Group: 15 startups to watch in 2015. Serguei Netessine, Chaired Professor of Global Technology and Innovation at INSEAD: Designing transformational business models. David Cohen, Founder, Managing Partner, and CEO of Techstars: How big corporate and digital startups can create a more innovative world. Caspar de Bono, Managing Director, B2B, at the Financial Times: Riding the wave of digital disruption. Click here to read the report. As we reported recently, there is a tidal wave of Big Data jobs coming. According to Capgemini, global organizational spending on Big Data exceeded $31 billion in 2014, and is predicted to reach $114 billion in 2018. This demand is undoubtedly driven by the lack of Big Data implementation in most businesses today. Absence of a clear business case for funding and implementation. Here’s an idea: send your board or CEO this blog post and the link to the report! Ineffective coordination of Big Data and analytics teams across the organization. The success rate for organizations with a dedicated analytics business unit is nearly 2½ times that of those that only have ad hoc, isolated teams, according to the report. What is the single most effective way to help your organization implement Big Data? Hire a Chief Data Officer, of course! “Previous Capgemini Consulting research into digital transformation, with the MIT Center for Digital Business, established the importance of top-down leadership in driving implementation,” the report remarks. Capgemini surveyed some 1,000 C-level executives and senior decision makers in nine regions and across nine industries to assess how data-driven insights are changing businesses. 64% of companies believe that Big Data is changing traditional business boundaries. 58% expect to face increased competition from startups enabled by data. For a business or organization that has successfully implemented a Big Data strategy, often through the leadership of a Chief Data Officer, the benefits accrued can be enormous. This report shows that successful Big Data implementation can lead to increased efficiency and lower costs, growth of existing and new business and revenue streams, and even the monetization of data itself. 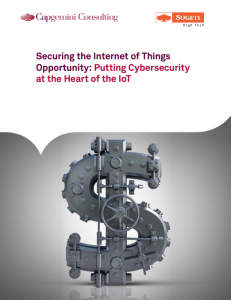 The Internet of Things is the next big thing in the digital economy. In the loT, products and consumers are provided with unique identifiers, plus the ability to transfer data over a network without the need for human-to-human or even human-to-computer interaction. Capgemini reported that loT will grow to an estimated 26 billion devices by 2020! Yet security concerns may delay or even derail this growing trend. Set up an integrated team of business executives and security specialists. Integrate security best practices with the loT product development process. Embed security throughout the loT product design process. As the above reports show, Capgemini Consulting has conducted some of the most comprehensive research on the digital economy to date. The experience it derived from helping its clients implement these leading strategies will make a perfect addition to the upcoming CDO Summit in New York City. Don’t miss out on becoming a digital master. As the fates of Blockbuster, Tower Records, Encyclopedia Britannica, and countless other examples have shown us, digital is no longer an option—it’s a mandate.